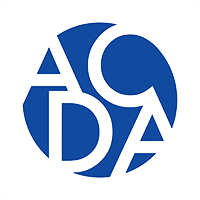 Two individuals of Anchorage Community Development Authority (ACDA) parking staff were recognized at the ACDA Board meeting on November 5, 2014 for coming to the aid of a distressed person. On August 22, 2014, parking staff, Harold Jones and Faapio AhChing, were conducting patrols at one of EasyPark's downtown parking garages and came upon a distressed person. Staff consoled the person and took it upon themselves to immediately call community resources in Anchorage to assist with aiding the individual. "Training staff to recognize and respond to an emergency situation has been one of the top priorities for EasyPark," says Demetric Tuggle, Parking Services Manager for EasyPark. "We are grateful for the way Harold and Faapio intervened and assisted this individual with getting resources that are available in Anchorage." 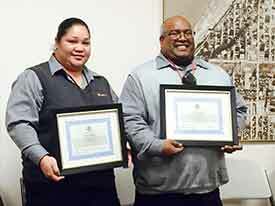 Certificates of Recognition were awarded to the staff by Mayor Dan Sullivan, commending Harold Jones and Faapio AhChing for going above and beyond the call of duty.